Scotland’s air traffic controllers are preparing for what is expected to be their busiest ever summer, as families get ready to jet off on their summer holidays. NATS controllers based at Prestwick Centre are expecting to handle around 267,000 flights during the course of July and August, beating last year’s figures by over 15,000 and the previous record set in 2007, with significant growth expected across most of Scotland’s major airports. Glasgow Airport has already reported its busiest May on record, with passenger numbers up 10% on the same time last year, while Edinburgh Airport has seen an almost 11% rise; but air traffic chiefs are warning that the skies are now nearing full capacity. Alastair Muir, NATS Prestwick Director, says: “A huge amount of preparation goes into being ready for the summer with NATS working with the airports and airlines. It’s our busiest time of year and we’re looking forward to getting people away safely for a well-earned break, but traffic growth continues to outpace forecasts year-on-year. A shift away from destinations such as Egypt, Turkey and Tunisia in favour of Spain, Italy and the US has also resulted in major changes in the flow of traffic through the airspace; and with Scottish schools breaking up this week the demand for flying is expected to reach new levels. NATS is spending in excess of £600m on new technology to help boost capacity, but argues that investment must be complemented by improvements to Scotland’s network of aging flight paths and air routes over the coming years – changes that will require Government support. Airspace modernisation will be critical to delivering the Scottish Government’s desire to increase direct flights to and from Scotland, while providing the capacity required to potentially handle more flights as a result of a possibly lower Air Departure Tax (ADT) without generating delays and cancellations. It also supports efforts to reduce the impact on the environment and local communities; minimising CO2 emissions and the overall noise impact. A rise in delays would not only inconvenience passengers, but also damage the Scottish economy. UK-wide figures from the Department for Transport forecast that by 2030 there will be 3,100 days’ worth of delays – 50 times the amount seen in 2015, along with 8,000 cancellations a year. NATS is calling on the Government to show support for plans to modernise the country’s airspace over the coming years in order provide the capacity needed to manage the 3.1m flights expected by 2030. 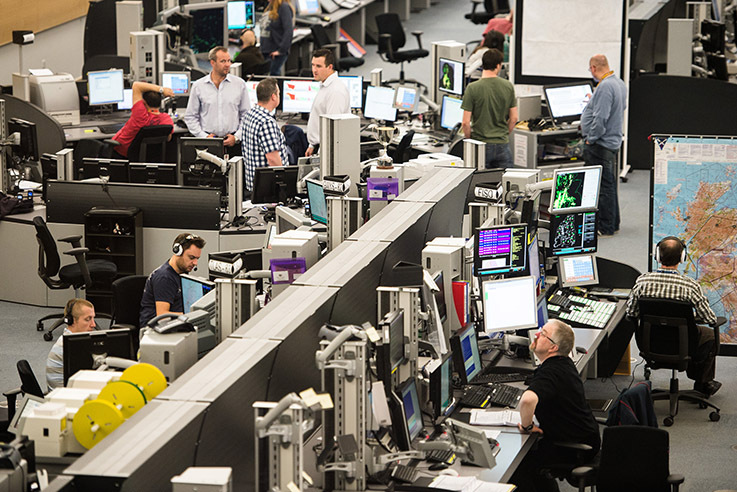 Prestwick’s air traffic controllers are responsible for safely managing aircraft over Scotland and the North East Atlantic, but also covers parts of England as far south as the Midlands. More than 80% of all European transatlantic traffic passes through airspace controlled at Prestwick making it a vital gateway between Europe and North America.